The use of light techniques in the field of beauty has been known for many years. Beyond the practices that consisted in exposing oneself to the sun for hours in the hope of seeing one's hair lighten, the first"modern" applications were developed around techniques using lasers or pulsed light. However, they are so specific that they cannot be used without precise control of the conditions of application. They are mainly reserved for doctors or aesthetic cabins with qualified personnel and, until recently, certainly not at home. However, over time, some work has shown an interesting characteristic of light. This is the ability of the skin to fix white light. This light is much lower in intensity than laser or pulsed light, and therefore much safer to use by untrained operators. 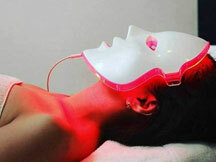 This light energy is then transformed by the skin to activate internal biological systems or through direct effects. This characteristic has led to the development of a new technique called"photomodulation". Paradoxically, it is to the conquest of space that we owe this"photomodulation which has become emblematic of soft aesthetic technologies. It all begins when NASA discovers that wounds hardly heal in weightlessness. The space agency will then investigate several solutions to find ways to improve this issue. A technique under development will provide an answer. This technology is based on LLLT (Low Level Laser Therapy). At the time, some studies reported significant results in accelerating the healing of wounds in orbit or in the treatment of injuries inflicted on submarine crews. The first patents in this field date back to 1965. The generation of light by LEDs will allow the development of perfectly stable devices. Just as plants use chlorophyll to convert sun energy into tissue support, LEDs trigger intracellular and physiological photobio-chemical reactions that activate collagen production in the skin and stimulate all cellular functions. The mode of action is now well known. 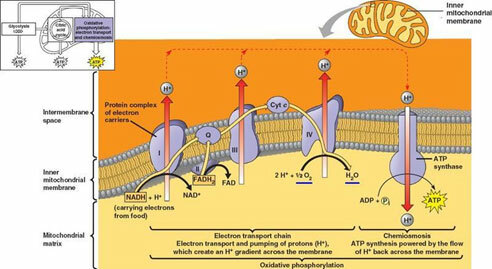 Light energy activates a specific enzyme in the electron transport chain, cytochrome C oxidase, thus stimulating biological energy production via an increase in ATP levels. This results in a global stimulation of cellular activity and more specifically at the skin level, through an increased production of macromolecules, collagen in particular. This effect is more specifically obtained with wavelengths corresponding to the orange colour (660 nm). The benefit is an improvement in the quality of the MEC (extra cellular matrix) by collagen production. More recently, tissue improvement in the papillary dermis has been demonstrated. The first indication will therefore be anti-aging. The properties of other bandwidths were later demonstrated. Thus the blue bandwidth (470 nm), through its microbicidal properties, finds applications in the treatment of skin irregularities, blackheads, enlarged pores and blackheads and purification. The near infrared (880 nm) is also an interesting bandwidth. It stimulates cellular repair. This bandwidth is generating a lot of interest at the moment. The first applications will appear at the end of the 90s. These will be cab applications around specific lamps. They will be quite complex machines, mainly usable in a cabin environment. These devices have gradually improved and recently led to fairly efficient applications such as the devices recently proposed by Biophotas in various fields. Masks using these techniques are also available, but preferably for professional use. In the meantime, several applications allowing the use of these techniques at home will be proposed. Among the first devices of this kind, we can cite the Filorga brand Luminothérapiste™ or the devices proposed by the Talika brand. These devices allow the selection of several programs according to the problem to be treated. 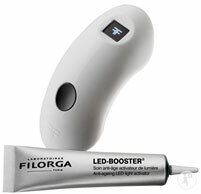 Filorga combines the device with a product whose action is enhanced by light. This activity had been demonstrated on the production of dermal macromolecules which was more abundant when exposed to light than without. It's 2012. 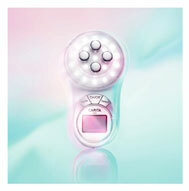 As for Talika, the brand uses for its Light Duo device, light generated by power LEDs: 0.06 w, at 525 nm (action on pigmentation), 590 nm (action on wrinkles), in pulsatile mode and- 630 nm (action on redness, wrinkles). The current trend is to combine these light therapy techniques with other applications to achieve complementary effects. One can quote a device like the Activ'feel of the I-Feel™ program of the Feeligold company, associating light therapy with electrostimulation, but especially the Patch FEELIGOLD™ launched in October 2017. This last device is the most interesting. It consists of a device based on an alkaline battery integrated into a patch to be applied to the skin. The voltage generator delivers a low current through the skin through a system of voters located in the stamp (EP294347 A1). The characteristic of this device lies in the fact that a self-regulator varies the voltage delivered by the generator according to the continuous measurement of the resistivity of the skin to adjust things. In addition, special work was carried out on the nature of the materials used, making the device perfectly biocompatible. Finally its price of obtaining much more affordable than the first devices should make it of an easier access than the first devices, exaggeratedly expensive. For their part, the Carita sisters very early imagined the concept of instrumental cosmetics by equipping the beautician with beauty instruments in 1960. Then, in 2012, it will be the Cinetic Lift Expert™, the professional cabin machine. It is only in 2017 that Carita launches its first augmented beauty device at home by opening a new era of care with My C.L.E.™ The professional device previously reserved for the cabin is now available at home and allows, thanks to four tailor-made programs, to deliver an effective routine. The technique combines two energies: micro-currents and LEDs. 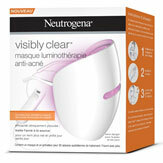 Also close to us (2017), the Neutrogena company has introduced a device solely illuminated but based on the same principle, the Visibly Clear™. This product is specifically positioned on problem skin (acne). Note : It should be noted that in all cases, the companies investing in this field are taking little or no position on the highly controversial issue of the effect of blue light on ageing in the current state of affairs. Some claim that blue light is harmful mainly via remote computer screens, with the eyes as the main biological target. Other than blue light is globally an ageing factor from which we must protect ourselves. Let us hope that the future will allow us to shed light' on this issue, unless, as suggested, they are two separate phenomena to be dealt with separately. Case to follow. Another use of light is for hair removal. The first devices that were used would use laser technology. The principle is simple. The device emits a high intensity light beam that is absorbed by the dark pigments (melanin) of the hair shaft and root. During its absorption, light is transformed into heat and destroys the follicle. But one thing is certain: laser hair removal (just like electrical hair removal) is a delicate operation, in principle reserved for doctors. This laser technique has evolved quite rapidly towards others using pulsed light. Introduced in the 1990s, pulsed light received its first US marketing approval from the FDA in 1995. If lasers are monochromatic light sources, the intense pulsed light (or IPL) fits into the wider emission spectrum (several wavelengths instead of just one with the laser) of the light. It is less specific than the laser, but has a spectrum allowing to reach more chromophores. Also less intense, it presents fewer risks, allowing safe use. The light only destroys the hair, eventually causing it to almost not grow back. In the hair, it is the pigment (melanin) that captures the light and thus heat. 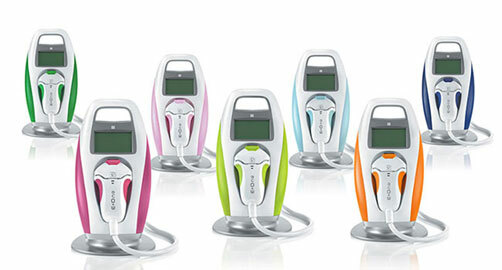 Since 2007, the year the famous E-Swin E-One was launched, pulsed light epilators for home use have continued to develop. There are many devices on the market. Here is a non-exhaustive selection. A gun-shaped epilator is applied to each square centimetre of skin to be treated. The device sends flashes of light aimed at melanin, the pigment that colours hair. The light dissolves the hair bulbs in the regrowth phase. It's not painful. But it doesn't work on all hair types. Black or tanned skin, even with UV rays, does not show enough contrast with the colour of the hair. No results on blond, red or white hair either! 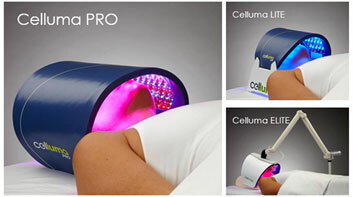 Pulsed light is contraindicated on moles, tattoos, eczema, chemotherapy, pregnant or nursing women. Through a rather complicated process, photomodulation and light hair removal techniques have forged themselves a place that is difficult to dispute, contributing to the emergence of an effective cosmetic instrument. They have also opened a new universe where the notion of cosmetics is not necessarily attached to a jar of cream, masterly formulation or secret grandmothers. Let us not doubt that they will experience significant development in the future, digitalisation strengthening their legitimacy. 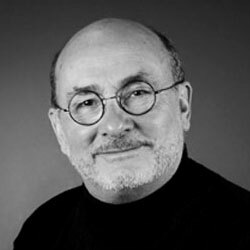 Biologist by training, Jean Claude Le Joliff has been an R&D man for many years. Successively in charge of R&D, then Research and Innovation in a large French cosmetics and luxury group, and after an experience of creating a research centre (CERIES), he turned to innovation management.He was also Associate Professor at the University of Versailles Saint Quentin (UVSQ) and remains a lecturer in several specialized courses: ISIPCA, IPIL, ITECH, UBS, UCO, SFC etc. 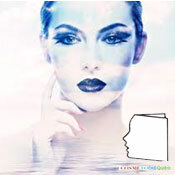 created the Cosmétothèque®, the first conservatory of crafts and know-how in this industry.